Harpers Pass Biv (2 bed, matresses, stream water, no fire) is a small bivvy 1.5km below the Harper Pass. Weather-tight and a handy lunch spot on a rainy, windy day. Reportedly cold on a winters night though! Only one bivouac remains (maps show multiple). Harper Pass Bivouac • By madpom. Licence: cc by. Lake Sumner roadend / swingbridge: 17km (5.5 - 10 hrs). Mainly flat valley-floor route via Cameron's, No.3 and Hurunui huts. Last 6km to hut steeper sidle-track with some creek crossings. No. 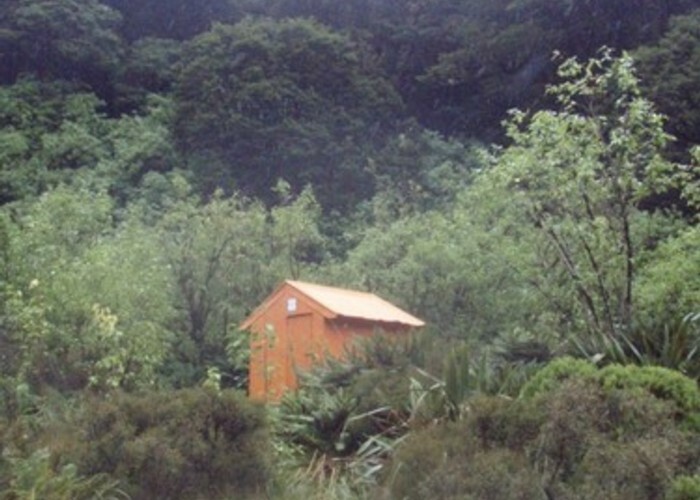 4 Hut: 10km (3-5 hrs) - cut, platformed pack-horse track over Harper Pass to the Taramakau swingbridge. Valley-floor route beyond. Added 25 September 2005 by MatthewMatthew. 1 revision 8 June 2007 by madpommadpom.